California Hosted the Region VI ANCW meeting in Monterey California. Check out Jean Barton’s reporting on the event! If you are missing out on ANCW meetings, you are missing out! CCW has had the distinct honor to support and cheer on our past leaders who have gone on to leadership at ANCW. Pictured below is past California Cattlewomen President and now ANCW past President Melanie Fowle. Cattlewomen across our nation were encouraged and motivated by Melanie’s can do attitude about work and life. 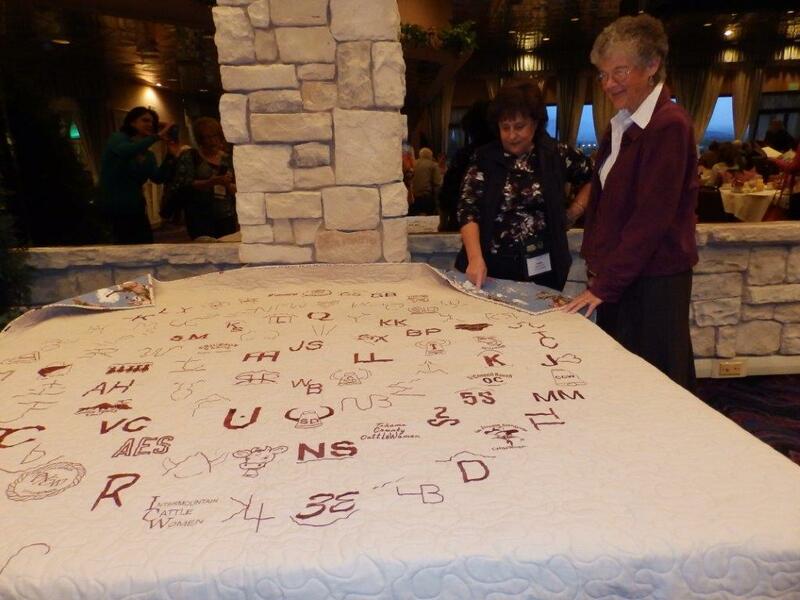 At the November CCW convention prior to Melanie stepping into her role at ANCW, CCW members presented Melanie with a beautiful California Cattle Brands quilt to show our support, and to remind her that we were all behind her here in the Golden State. CCW members – Become a member of ANCW. Click here! Then tell your other local unit members that you are a part of the big picture at ANCW!